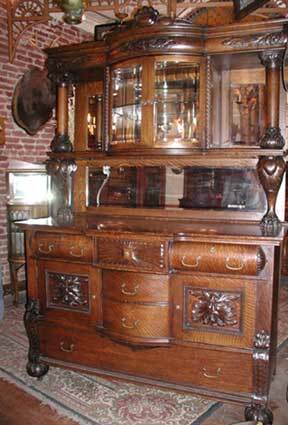 array of late victorian and turn of century furniture, architectural details and period lighting. Over the years, we have not only furnished private residences and offices but have worked extensively with architects, interior designers and set decorators. Many items have been seen in the movies and on the Broadway stage. Our store has been featured in such publications as: The New York Times, New York Magazine, Travel & Leisure Magazine, Time out, New York Daily News, and The Bed Book. For the last several years, citysearch.com has voted us one of the best antique stores in New York City.